This is part II of a series of posts dedicated to free, online math sites to help students learn their basic facts, and to help teachers help their students. You can view part I here. Create A Graph helps students graph all sorts of data in either a bar, line, area, pie, or xy graph. To create a graph, you choose a type of graph you want to produce, enter your data, change the font and colors (optional) and then either print or save after previewing it. Students are able to save in a variety of formats including pdf, jpg, png, and others. I use this site to help my students graph data they gather when we are researching about developing countries. You can read about this unit here. I couldn’t have a post called “Cool Math Tools” without including Cool Math for Kids. This site has so many great games, activities, lessons, and even flash cards for math learners ages 3-12 (older students can check out Coolmath.com). 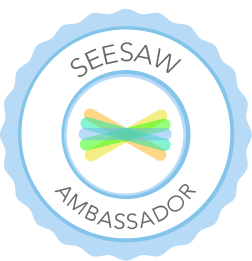 There is a Teacher Section with ideas on how to use the site in your classroom, as well as continued education, resources, and a few extras. Multiplication.com has some really fun games to help students master their basic facts. Most of the games would go well with IWBs or stand-alone computer stations, so they would be good to use as individual or group practice. Some of my favorites include: Math Wash Up, Space Race, Flight of the Knight, Sketch’s World, Castle Quests, and Grand Prix, but there are tons more on the site, so check it out! All three of the following sites would be great to use with an IWB or at a stand-alone computer station for basic math practice. The goal of Fraction Monkeys is to simply hang the fraction monkey into the correct loop on the number line. The game starts out easy and progresses to greater difficulty the longer you play. Speed Grid challenges a Player (or players) to answer a set amount of questions in a pre-selected amount of time. Chose a factor to work on and then solve the math problem by clicking on the correct sea creature swimming by. If you’re using this on an IWB remind students not to hit the board too hard, as they tend to get a little excited:). This is part IV in a series dedicated to free, online writing tools for kids. You can view part I here, part II here, and part III here. Part of the larger Scholastic site, Writing With Writers provides an excellent resource for writing. There is an excellent section for kids called, Computer Lab Favorites (Teacher View Here | Student View Here), that has a variety of writing tools like Story Starters, Myth Brainstorming Machine, and Poetry Idea Engine; as well as learning games like, It’s Greek to Me (great for Real Spelling connections), and Fish Up Word Endings. Along with all the great writing tools and activities, there are also sections for Math, Science, Social Studies, and Spanish that require no prep and can be completed in 15-30 minutes. My favorite comic creator, Bitstrips allows students to create fun comics on any topic of their (or your) choice. Students can use Bitstrips for free, but the $78 annual subscription allows teachers to create a classroom with individual student accounts and create assignments that students submit to you when they are finished. EdTechIdeas: I’ve had classes recreate scenes and plot lines from books, show understanding of rainforest layers, desert environments, and historical events, teach math concepts… The possibilities are endless. EdTechIdeas: Google Art Project is an art teachers dream, or any teacher, for that matter, who wants to expose their students to artistic culture. Teachers could send students on virtual field trips where students “collect” specific pieces of art and further explore the artist of their choice. You could create a classroom collection of artwork and have each student research an artist. Leave a comment below on a way you would use Google Art Project in your classroom. This is part III in a series dedicated to free, online writing tools for kids. You can view part I here and part II here. Learn Something Every Day is a fun, simple site that is great for a morning opening activity. In the classroom you could have this site up on the projector every morning to generate discussion or as writing prompts. The Houghton Mifflin Company produces Grammar Blast. Grammar Blast offers 35 interactive grammar activities for students in grades two through five. 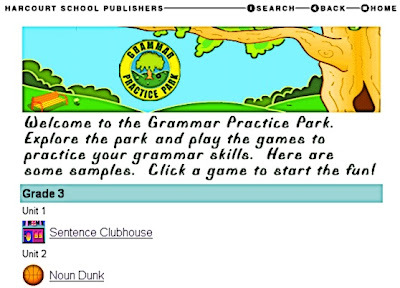 Grammar Practice Park, produced by Harcourt School Publishers provides 12 games for students in grades three, four, and five. This is part II in a series dedicated to free, online writing tools for kids. You can view part I here. Vocab Ahead is a collection of short videos that give definitions, usages, and pictures associated with interesting vocabulary words. You may subscribe to receive a vocab video of the day and there is also a section of videos by students that are fantastic. One Word reminds me of a writing warm-up activity I used to do with my third grade class. The kids would choose a word and then have 1 minute to write as much as they could on that topic. We called the activity Speed Writing. They would then choose a second word and write on that, and so on. We would do this 3 or 4 times, and each time they would count their words and I would graph the results. Every time, they would write more (I would purposely give them a couple of extra seconds more each round… shhh!). My mantra during this activity was, “The more you write, the more you write.” One Word works the same way. After clicking on Go students write as much as they can. After the minute is up, they enter their name and email and they can see what they wrote, as well as what others have written on the same topic. This is part I in a series dedicated to free, online writing tools for kids. You can view part II here. Grammaropolis is a fun, interactive site that helps students learn about the parts of speech. EdTechIdeas: These 3 sites can be great tools to help struggling writers, as well as kids who love to write. I’ve seen my students so excited about story writing with StoryJumper. The Printing Press makes it quick and easy for elementary kids to create nice looking publications, and learning about grammar and the parts of speech has never been more fun than with Grammaropolis. Super Teacher Tools has a bunch of great teaching tools that allow teachers and students to create games, quizzes, charts and a variety of other useful things for your classroom. The most popular is a Jeopardy Review Game that you can create custom Jeopardy games for your students. EdTechIdeas: I use this site to have my students create review games for other students to play. They must first research a given topic, come up with questions and answers, and then use those facts to create a game. EdHeads helps students learn through educational games and activities designed to meet state and national standards (US). EdTechIdeas: Students can learn about simple and compound machines, how to predict the weather, perform virtual knee surgery, and even create a stem cell line. Kineticcity boasts that they have “the most amazing collection of science experiments, games, activities, challenges, and more.” Along with a pretty solid set of science related games, there are also have hands on games and activities, mind games, and activities for creative writing and art. Kids will really dig the interface. EdTechIdeas: Kineticcity is a production of The American Association for the Advancement of Science, with support from The National Science Foundation, and therefore, all of the content is US standards-based. There is an educator section with ideas on how to start Kinetic City Club, and also an area to print out forms and leader guides. This would make a nice addition to your current science program or be a great program to start as an after school extension.